The monarch struck a note for inclusivity, but some say she didn't go far enough. Queen Elizabeth II, in her speech for the opening of Parliament today, made a clear, albeit nonspecific, call for protecting the U.K.’s gay citizens and a variety of other groups against discrimination. “My government will make further progress to tackle the gender pay gap and discrimination against people on the basis of their race, faith, gender, disability, or sexual orientation,” the queen said, according to the U.K.’s Pink News. This appears to be the first time since 2004 that gay rights have been mentioned in what’s known as the “Queen’s Speech,” given annually when Parliament begins its session, the site reports. The speech was “largely neutered,” notes Pink News, to avoid partisan politics after Prime Minister Theresa May’s Conservative Party failed to win a parliamentary majority in the recent election. The party is seeking to form a coalition government with the anti-LGBT Democratic Unionist Party of Northern Ireland, but difficulties have arisen over other issues. The queen did not mention transgender rights specifically, but before the election May had pledged to revise the Gender Recognition Act to make it easier to change the gender marker on legal documents. The queen also made no mention of Donald Trump’s planned visit to the U.K. Many politicians and activists who opponse his policies have called for his official visit to be canceled. 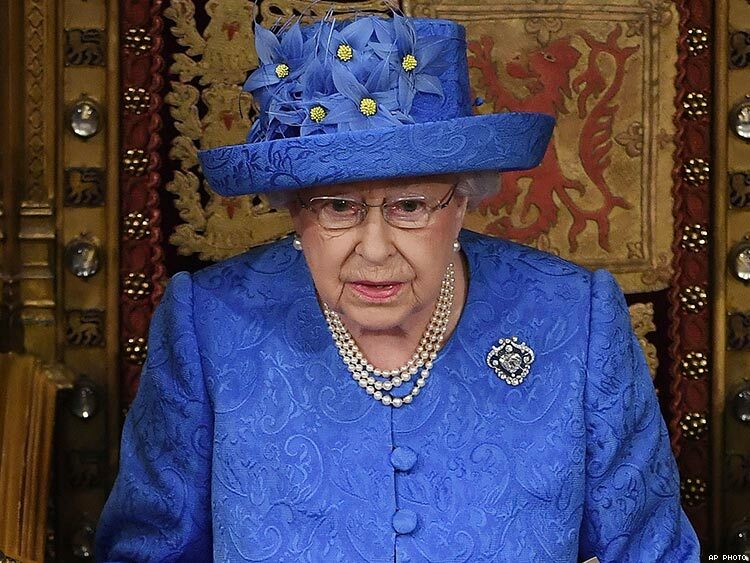 And some observers have commented on how much the hat Queen Elizabeth wore today resembled the European Union flag — perhaps a subtle way of objecting to U.K. citizens’ vote last year to leave the body.